5x Best of Houzz; Best of Houzz Design 2019! Our design and installation teams combine for over 45 years of award-winning results In Central New Jersey & Bucks county Ronni is a certified Master Gardener whose personal and professional inspiration can be traced back to the classes she took at Longwood Gardens. 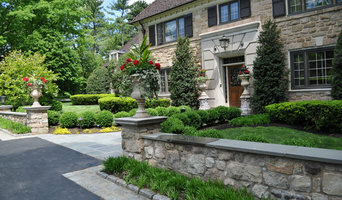 Ronni worked as a buyer for several of the best known landscape companies in the region as well as a prestigious firm dealing in landscape design and maintenance for New Jersey estates. After ten years of transforming properties throughout New Jersey and Bucks County, she created Ronni Hock Garden & Landscape in 2004. Her work has been featured in numerous publications including Design NJ, Princeton Magazine, PM Magazine, Town Topics and Great Backyards. 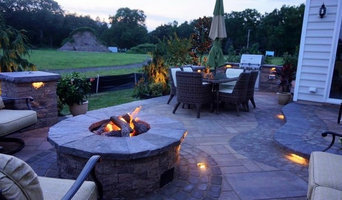 Voted "Best Landscape Design" 2015 in NJ House & Home and "Best Hardscape Design" in 2019. Her warm, creative touch defines the personality and approach of RHG&L. Terren Landscapes is a full-service firm specializing in landscape design, build, and maintenance throughout Main Line Pennsylvania. We have landscape designers on staff and over 30 years of experience working on projects of all types, shapes, and sizes. With an unyielding dedication to quality work and genuine client relationships, we've gained a reputation for being the go-to premium service in the region. Not gifted with garden tools? Professional Bellmawr landscaping companies are your best bet to get lush, lovely grounds year round. Hire a landscaper to create and maintain a beautiful yard that complements your home and blends into its native setting. 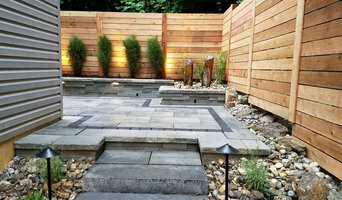 From soil, grasses and plants to decks, walkways and patios, Bellmawr landscape contractors are well versed in the components that make up a functional and visually pleasing outdoor living space. Learn more about how a landscaping company in Bellmawr, NJ can help you with your yard below. What does a Bellmawr landscape contractor do? Landscaping contractors execute lawn, garden and hardscaping plans that have been drawn up by an architect or designer. They may also provide design services on their own. After the everything has been installed, landscape companies can make adjustments, maintain plantings, take care of weeds and pests, and perform other tasks to keep the scheme looking its best. A licensed New Jersey landscaper should have detailed knowledge of Bellmawr, NJ weather and climate trends and conditions, and can choose plants and materials that are well suited to the area. Residential landscape companies in Bellmawr, NJ also handle many of the same general duties as builders, including arranging for construction permits, hiring subcontractors and making sure that designs comply with New Jersey building codes. Find Bellmawr landscaping services on Houzz. 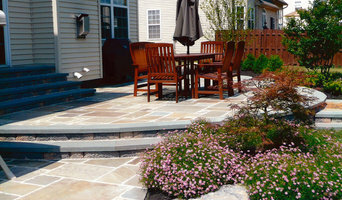 Narrow your search in the Professionals section of the website to Bellmawr, NJ landscape contractors. You may also look through photos of New Jersey landscapes to find one you like, then contact the landscaping company in Bellmawr, NJ who worked on it.